Joanna Figueroa of Fig Tree Quilts has created a beautiful sampler quilt to spice up the holidays n her first book with It's Sew Emma! 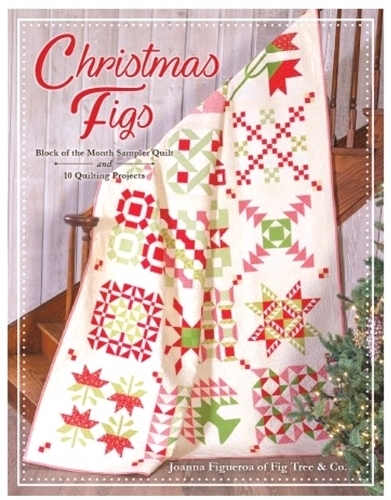 The Christmas Figs Block of the Month quilt is layered with 10 lovely traditional quilt blocks and finishes at 78.5" x 96.5". 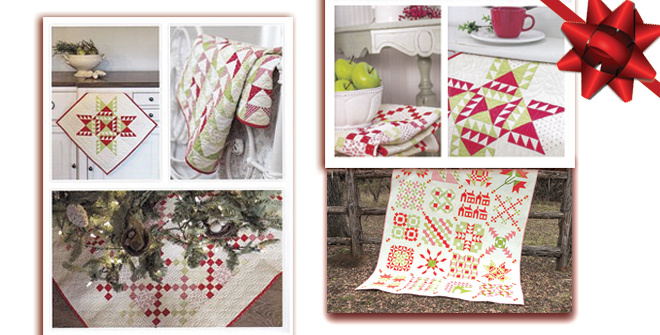 Each block is paired with an extra project to add even more warmth to the winter season, such as table toppers, pillows, mini quilts, tree skirts and more! This quilt is great for confident beginners to experienced quilters using basic piecing techniques and some applique. Over 12 months, create a stunning quilt filled with classics to cherish and enjoy for all Christmases to come!